Pulling for the Underdog: The limits of selflessness? New Philanthropy Capital (NPC) in the UK has just published a brave attempt to make the case for more mergers and acquisitions among non-profits. 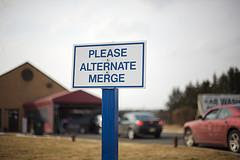 In general, I agree that more mergers are likely to be beneficial, but it is surprisingly difficult to make a compelling case for this conclusion. And it is maybe even more difficult to come up with an effective framework that would provide the right incentives. First, there are problems making the case ex-ante that more mergers are needed. The report notes that, among large non-profits, the "rate of merger was just one-tenth of that among for-profit companies." So that seems to be a reasonable basis on which to presume more mergers among non-profits would be useful. The problem is that the value of any merger can generally only be determined ex-post. And in that context, it is important to keep in mind that an estimated 50-80% of mergers in the business world fail. So it's far from clear that the comparison with the for-profit sector is compelling. i) There are no returns to non-profit shareholders. In the for-profit sector, the firm taking over the other generally offers a price higher than that prevailing in the market for the shares of the other firm. This provides an incentive for shareholders to sell - and it provides a healthy reward for the shareholders when it happens. ii) In many cases, managers of the acquiring and acquired firms get bonus payments for concluding a merger. It is typical for the managers in the acquired company to get buy-outs. Sometimes these payments are even large enough for managers to put pressures on the shareholders to buy or sell by painting a rosy picture of the potential value created by a merged entity. By contrast, mergers in the non-profit sector generally mean that some managers lose not only their jobs and source of income, but their identities and status as well. As I said, I agree with NPC and others that more mergers and acquisitions would probably help the non-profit sector realize efficiencies and sometimes create additional new value. But more data, more awareness of trustees, and more urging by commentators are unlikely to provide the incentives needed for that to happen. Something more catalytic is needed.